Lighting control	There are 4 products. The MPOS-POWER8 device is designed for switching AC and DC voltage up to 250 V and power up to 1 kVA. 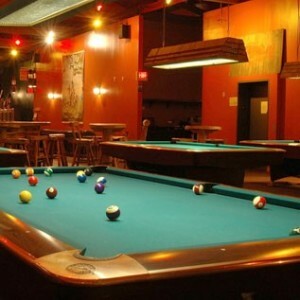 Usually the system is used as lighting control in billiards, gaming halls and disco clubs. Each MPOS-POWER8 module has 8 control keys (for entering the access code and switching the commutation channels) and LED indication of the channel status. 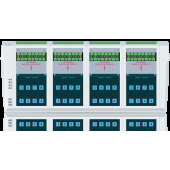 Up to 4 modules can be connected to the system, with 8 switching channels each. 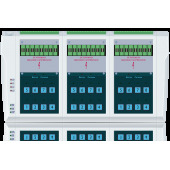 Thus, the number of controlled loads can be from 8 (1 POSUA-POWER8 module) to 32 (4 POSUA-POWER32 modules). 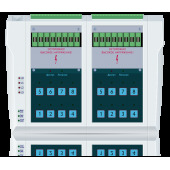 The system provides channel management from a local keyboard located on each module or remotely via the RS232 interface. 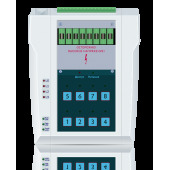 Access to the local control mode can be restricted by the access code.